Dental Emergency in Hawaii? Know What To Do! About a month prior to departure: Or at least two weeks before you go, schedule a visit to your dentist. There is a lot going on in your mouth that can be seen in a physical exam and through X-rays, so this really is your best course of action. Clove Oil: This pain reducer is your best friend with you have a tooth ache of any sort. It can be purchased at your local health food store for only a few dollars. Dental Wax: Can be used for broken or bent orthodontic wires as well as crowns that may have become dislodged. Remember to save the crown should this happen, so it can later be re-attached. Phone Numbers: Bring along the contact info for your dentist and orthodontist, should your family have one, and the number of a recommended dentist in the state to which you’re traveling. Toothaches: First, thoroughly rinse your mouth with warm water. Use dental floss to remove any lodged food. If your mouth is swollen, apply a cold compress to the outside of your mouth or cheek. Never put aspirin or any other painkiller against the gums near the aching tooth because it may burn the gum tissue. See a dentist as soon as possible. The good news is there are lots of dentists in Hawaii who will see you in the event of an emergency, even on the neighbor islands. Chipped or broken teeth: Save any pieces. Rinse the mouth using warm water; rinse any broken pieces. If there’s bleeding, apply a piece of gauze to the area for about 10 minutes or until the bleeding stops. Apply a cold compress to the outside of the mouth, cheek, or lip near the broken/chipped tooth to keep any swelling down and relieve pain. See a dentist as soon as possible. Knocked-out tooth: Retrieve the tooth, hold it by the crown (the part that is usually exposed in the mouth), and rinse off the tooth root with water if it’s dirty. Do not scrub it or remove any attached tissue fragments. If possible, try to put the tooth back in place. Make sure it’s facing the right way. Never force it into the socket. If it’s not possible to reinsert the tooth in the socket, put the tooth in a small container of milk (or cup of water that contains a pinch of table salt, if milk is not available) or a product containing cell growth medium, such as Save-a-Tooth. In all cases, see a dentist as quickly as possible. 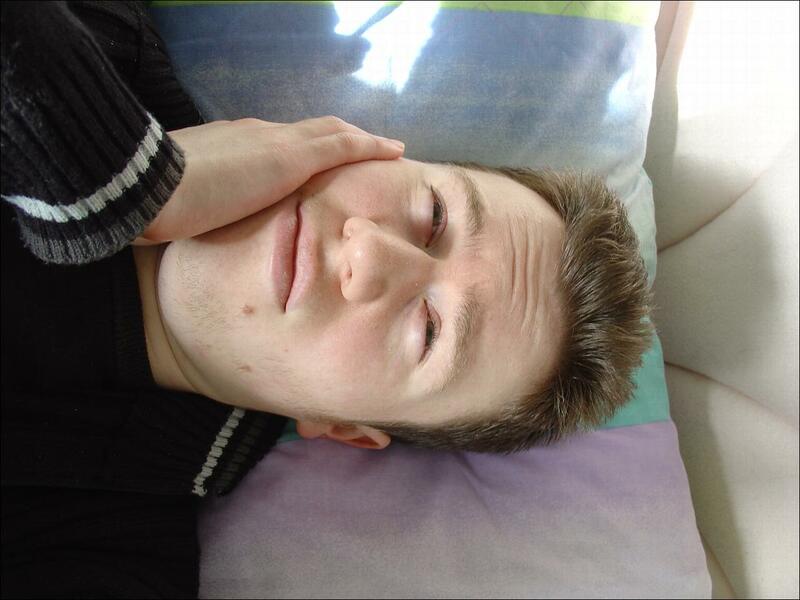 Extruded (partially dislodged) tooth: Until you reach a dentist’s office, to relieve pain, apply a cold compress to the outside of the mouth or cheek in the affected area. Objects caught between teeth: First, try using dental floss to very gently and carefully remove the object. If you can’t get the object out, see a dentist. Lost filling: As a temporary measure, stick a piece of sugarless gum into the cavity (sugar-filled gum will cause pain) or use an over-the-counter dental cement. See a dentist as soon as possible. Lost crown: If you can’t get to the dentist right away and the tooth is causing pain, use a cotton swab to apply a little clove oil to the sensitive area. If possible, slip the crown back over the tooth. Before doing so, coat the inner surface with an over-the-counter dental cement, toothpaste, or denture adhesive, to help hold the crown in place. Do not use super glue! Broken braces and wires: If a wire breaks or sticks out of a bracket or band and is poking your cheek, tongue, or gum, try using the eraser end of a pencil to push the wire into a more comfortable position. If you can’t reposition the wire, cover the end with orthodontic wax, a small cotton ball, or piece of gauze until you can get to an orthodontist’s office. Never cut the wire, as you could end up swallowing it or breathing it into your lungs. Abcess: Abscesses are infections that occur around the root of a tooth or in the space between the teeth and gums. Abscesses are a serious condition that can damage tissue and surrounding teeth, with the infection possibly spreading to other parts of the body if left untreated. Even if you spend most of your time relaxing on the beach, you can still have a dental emergency in Hawaii. So, heed these tips, and make sure you take quick action if you can’t see a dentist right away.